Spend a whole life without sight of their own shadow? When shadows are just but stolen light ? When shadows are just but denied light? While the mist robs the rocks of their light? While the mist blankets them with its own shadow? for this land, this jewel, never came cheap. for, there is no greater pain than groping in the dark. for, this land is soaked with gallons of blood and tears. for, in my veins flows the blood of determined achievers. Shall I celebrate with wine, music and dance? For beyond that horizon lies yet another horizon. Chirikure Chirikure was born in Gutu, Zimbabwe, in 1962. He is a graduate of the University of Zimbabwe and an Honorary Fellow of Iowa University, USA. He currently lives in Berlin, Germany, as a fellow under the 2011/12 DAAD Berliner Kunstlerprogramm (Artists in Berlin Programme). He also works as a performance poet and cultural consultant. He worked with one of Zimbabwe’s leading publishing houses as an editor/publisher for 17 years, until 2002. After working as a consultant for a while, he went on to work for an international development agency as a programme officer for culture, for Southern Africa, based in Harare, until April 2011. Chirikure has published the following volumes of his poetry: Rukuvhute (1989, College Press, Harare); Chamupupuri (1994, College Press, Harare); Hakurarwi – We Shall not Sleep (1998, Baobab Books, Harare) and Aussicht Auf Eigene Schatten (Shona and English poems with German translations) (2011, Afrika Wunderhorn, Heidelberg, Germany). He has also contributed some pieces in a number of poetry anthologies, including Zviri Muchinokoro (2005, ZPH Publishers), Intwasa Poetry (2008, AmaBooks Publishers), Schicksal Afrika (ed. Horst Kohler) (2010, Rowohlt Verlag), No Serenity Here – An Anthology of African Poetry in Chinese, (2010 Moonchu Foundation). His poetry has been translated into a number of languages. He has also written and translated a number of children’s stories and educational books. Chirikure’s first three poetry books received first prizes in the annual Zimbabwe writer of the year awards. 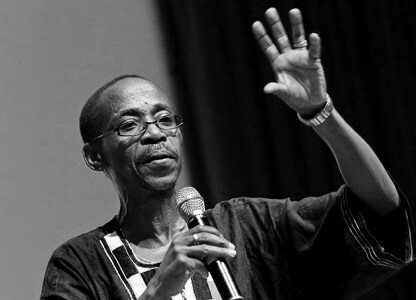 His first volume, Rukuvhute, also received an Honorable Mention in the Noma Awards for Publishing in Africa, in 1990. His other book, Hakurarwi – We Shall not Sleep, was selected as one of the 75 Best Zimbabwean Books of the 20th Century in a competition ran by the Zimbabwe International Book Fair in 2004. In that competition the same book got a prize as one of the best five Shona publications of the 20th Century. Chirikure performs his poetry solo and/or with DeteMbira mbira music ensemble. With DeteMbira, they recorded an album of poetry and music, Napukeni (2002, Tuku Music/ZMC). He regularly performs and tours with musician Chiwoniso Maraire, with whom he has recorded an album of poetry with mbira music, Chimanimani . With support from family and friends, he has also recorded an album of his poetry with contemporary music, Chisina Basa (2011, Metro Studios Harare/Inyasha Studios UK). He has also written lyrics for a number of leading Zimbabwean musicians and he occasionally performs and has recorded with some of these musicians. He has also contributed lyrics, translations and voice-overs in films and documentaries, and has acted in some theatre productions. He has also been an occasional contributor to the print media and used to run a radio programme for young Shona writers. Over the years, Chirikure has participated in several international festivals, fairs, conferences and symposiums, as a performer, speaker or resource person.